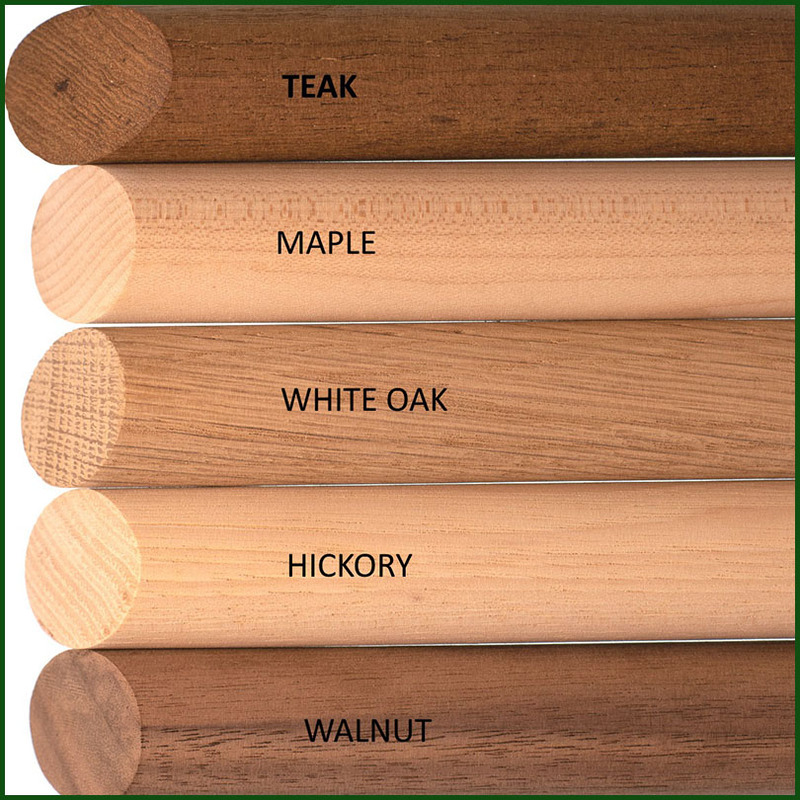 Atlas Dowel & Wood offers most varieties using high grade Appalachian hardwoods. 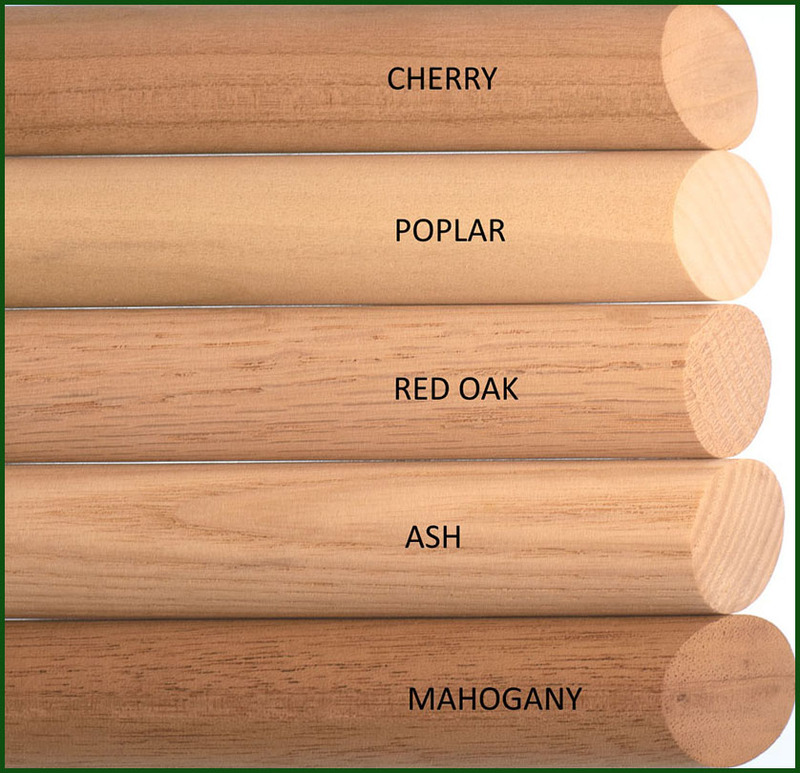 Our lumber comes from managed forests and is seasoned and kiln dried to a 7 - 9% moisture target prior to turning and a fine sanding - this helps prevent movement after production. Dowels are turned slightly oversized, tolerances are +/-.010". All made here in America. We can quote 16th" increments-- If you need larger diameters check out the "Larger Domestic Dowel" category !